The gradient lip is a finish that creates the illusion of a 'smaller and cuter' mouth. It gives the impression that you have been sucking on a cherry lollipop. This look is done similar to the technique of water splash in conventional tattooing. Either two separate colors can be used to create a more bold look or one pigment can be dilated to create a smooth look. 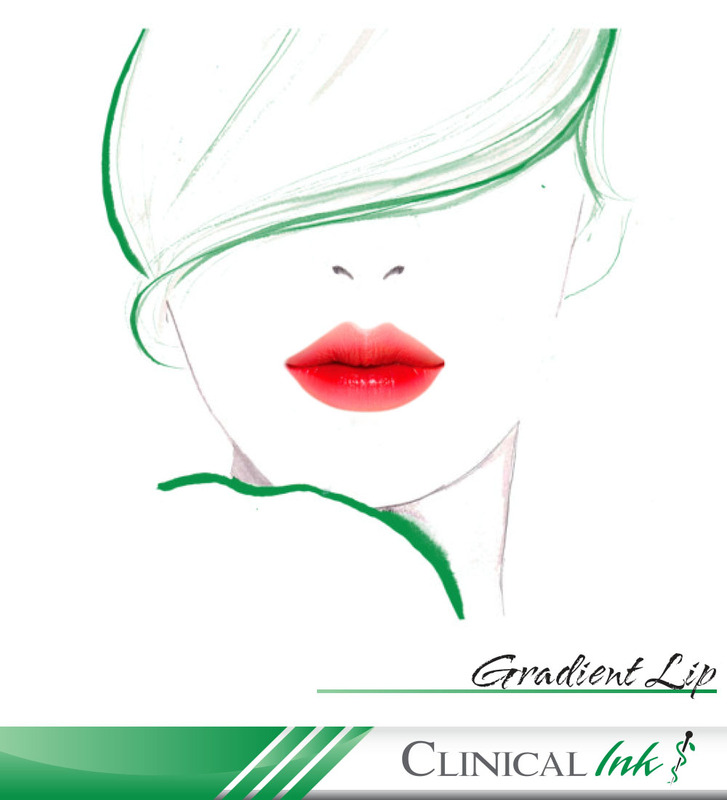 During the first appointment, the pigment is implanted into the layer of the lips. Between the time of the first appointment and second pigment, the pigment will blossom into a natural color. This is ideal for those that want to give the alluring look without without too much maintenance. It is also ideal for those that naturally have two tone lips and are wishing to change colors as it is more achievable to attain this look than the full lush lipstick procedure. Before each procedure, a practitioner will take the design the different shape and sizes of the freckles. Will you review the area the desire area. You can decide to just cover the area of your nose or place them all throughout. The practitioner will have you do a facial expression so that you have complete sanctification. Both you and the practitioner will choose a color together by applying small amounts of different pigments on the skin by your desire area. Colors can be blend together to match your skin tone and features. Multiple colors can be uses so that the colors can compliment each other and create even a more three-dimensional look. The gradient lip is a finish look that creates the illusion of a 'smaller and cuter' mouth. It gives the impression that you have been sucking on a cherry lollipop. During the first appointment, the pigment is implanted into the layer of the lips. Between the time of the first appointment and second pigment, the pigment will blossom into a natural color. This is ideal for those that want to give the alluring look without without too much maintenance. It is also ideal for those that naturally have two tone lips and are wishing to change colors as it is more achievable to attain this look than the full lush lipstick procedure. Price is $400 per session and includes complementary touch up.